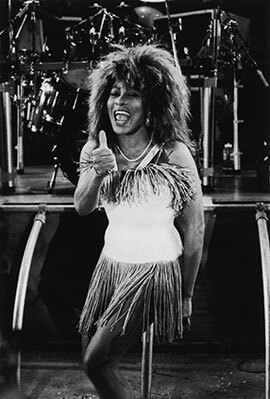 "Addicted To Love" is a single from Tina Turner's live album "Tina Live In Europe". It’s a cover. The song belongs to Robert Palmer. He wrote the song and released it in 1986 and the song became the single for the album "Riptide". Tina covered the song for the first time during her concert in London. It was recorded and taped for her Break Every Rule Live Special and we saw The Queen for the first time in her red leather dress walking onto the stage. When Tina heard "Addicted To Love" she immediately fell in love with the song and wanted to cover it right away. We have never seen footage of Tina performing the song on a tv show, but "Addicted To Love" has never left the setlist during her live tours since 1986. It became a full energy moment when the guitars blast of the intro of the song during Tina’s concerts. "Addicted To Love" became the lead single in certain countries and was a small success for Tina on the charts. They’ve used the live recording of the Break Every Rule Live Special as video for the song. "Addicted To Love" is released in different formats: 7" single, 12" single, cd single, cd maxi single and cassette. The version of "Addicted to Love" issued on the single was in fact an alternate mix of the track; the single mix was later included on the European editions of her 1991 greatest hits album "Simply the Best", as well as "All the Best" in 2004 and "Tina!" in 2008. Another live version was included in Tina Live in 2009. Versions of the original recording are listed below. -Tina Live in Europe album mix – 5.22 min. -Single Mix – 5.10 min. -Tina Live – 4.54 min. The B-side for the single was "Overnight Sensation", an up-tempo country rock song. The song is about a girl who has been around in the music for a long time. Working in small venues until she breakes out of the circuit and becomes a huge star. This song is autobiographical in comparison to Tina’s career. 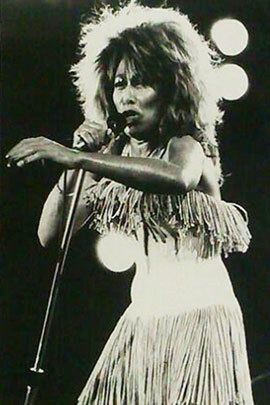 Tina started perform in the late 50’s, in rhythm and soul revues and honky tonk dresses.